Far & Off (79'31") is more than just a collection of digital objects. This is music for the aspirational - for those waiting in line to purchase a flying car, or book a holo-deck holiday. 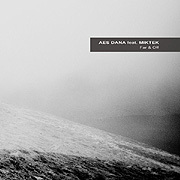 Realized by AES Dana, and featuring Miktek, Far & Off is comprised of 10 tracks of body music meant to elicit intellectual admiration. 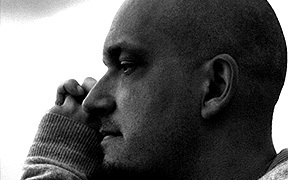 Vincent Villuis and Mihalis Aikaterinis imbue each track with the semblance of a slow cool adventure. Under a mysterious atmosphere, shimmering with immediacy, this duo energizes the listening space with stylized cerebral beats. The music builds in levels - with the listener's enjoyment increasing with each shift between noir chill and smoldering sensuality. This album also has many thought zones - where distant piano, slow fuzz-glow leads and hybrid plucks mingle with record groove surface noise and subtle sound sample manipulations. The addition of these varied and accomplished sonic appointments provides a glow of intimacy, and should be regarded with an interest equal to that of the power expended in the regions of the low-end. Moving at the speed of an action cinema soundtrack Villuis & Aikaterinis propel Far & Off with ratcheting e-percussion, undulating bass and swaggering beat innovations. As rhythm is cranked, pulse pumped, then stopped, dropped, ground and grooved, we listeners give ourselves over to this album's mounting moods and electrified sensations. It is a given that prior to embarking to Far & Off, we tacitly accept the musical beliefs of our guides - because we are an audience which encourages our artists to explore and take creative risks. Thanks to this implied contract, Villuis & Aikaterinis are able to celebrate real thinking - and keep the field of Electronic Music existing still in the era of mythology. Unlike the mainstream music market, this genre has not yet been fixed, it has not yet set or hardened - the music is still being lived.